Last weekend was our annual ladies trip. Near or far, we've always done something that consists of a mix of outdoor activity, good food and old fashioned relaxation. 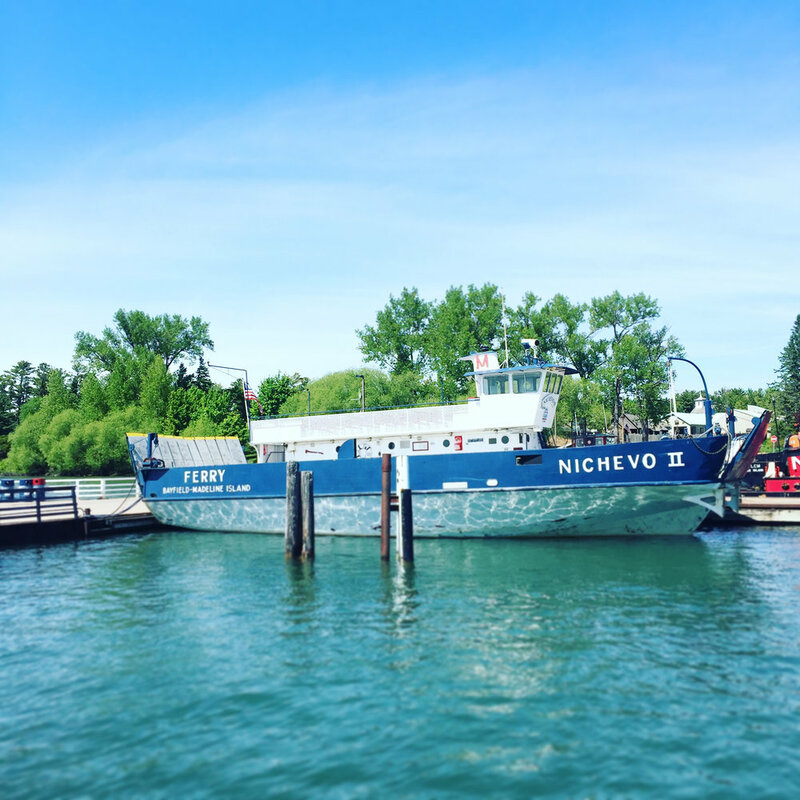 We crossed the ferry from Bayfield, WI into Madeline island; it was the perfect weekend retreat with the right amount of sunshine, beautiful scenery and delicious stops along the way. Those blue waters are ALMOST as Caribbean-esque as they say in some parts, except much colder of course! Madeline Island is part of the 22 Apostle Islands, and with it's beautiful, coastal vibe, it's like East Coast and Midwest had a baby. There is something magical about taking a ferry to your destination - really makes you feel like you're escaping. Definitely an old fashioned feeling about the ferry and traveling to this historic island. We took our car on the ferry, which I'd definitely recommend to fully experience the islands and get to and from all your destinations (hiking, kayaking, restaurants, etc). Bayfield also has some great restaurants but I'd plan accordingly and experience Bayfield on it's own time because the ferry rides to Madeline Island can get spendy at $14 a pop plus the cost of a car. (Check out Maggie's, The Bayfield Inn, Big Water Coffee, Wild Rice Restaurant, Old Rittenhouse to name a few). Let me start by saying we were not ENTIRELY prepared for the conditions had we done what we planned on - so I'll start by throwing out a few tips. 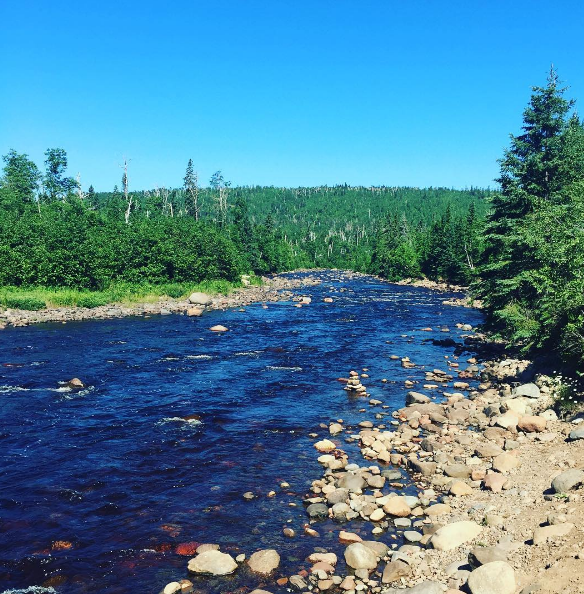 Madeline Island is for the most part, a seasonal destination but even in the summer months you should plan for mid-summer temps to November-like chills and being by Lake Superior, you definitely can count on the occasional rain/wind storm. Layers (think July to November layers) - a great zip up fleece, tank tops, wind breaker, etc. Athletic gear - hiking attire in layers (tanks, I'd wear yoga pants of some sort because of bugs) a towel and swim suit in case you're feeling adventurous enough to cliff dive. Biking, hiking, kayaking are all fun thing to do on the island. There is also yoga on the rock during warmer months! Rain gear - definitely bring a rain coat or layering wind breaker, especially if you plan on getting out on a boat during your stay. If it rains, there is nothing worse than being cold and wet. Sunscreen and insect repellent - this is serious. The bugs on the trails can be awful, not sure what kind of flies were out there but they bite through clothing! We tried the natural bug spray route and midway through our hike we were all begging for some DEET. Make sure to protect your pups if you bring them hiking too! Camera - there are beautiful sights to document all along the trails and water. A Go Pro would be especially fun if you are kayaking or hiking the trails. Camping gear - the island is a great place to camp and there are lots of options in terms of where to stay depending on if you are looking to really rough it out in the wilderness (Big Bay State Park) or glamp with showers, kayak rentals and wifi (Big Bay Town Park). 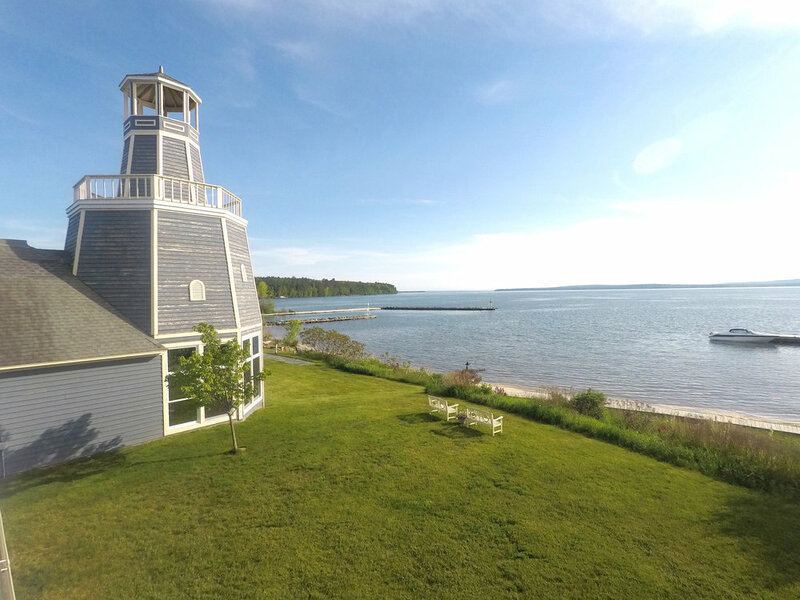 The Inn on Madeline Island: This was our top pick and we loved it. The Inn on Madeline Island is located downtown La Pointe on Lake Superior, fully stocked with a few different lodging options and it's own "Pub" restaurant and wine bar (be warned to not be let down by the wine bar, it's really just a bar with wine...). They have homes, cottages and condos for rent here with private or shared balconies on the water. Views are great and it's within blocks of the ferry, restaurants, shops and activities in town. The state parks are just 6 miles away from here too! Island Inn: Small hotel with great proximity to the ferry and Farmhouse (best eatery!) with lake views. Camping: Big Bay Town Park is a top choice with a 2.5 mile sand beach, wifi and showers available, hiking, swimming, biking, kayaking/canoeing on the honor system through big Town Park lagoon, picnicking and even snowshoeing in the winter. This draws a younger crowd. Camping: Big Bay State Park, geared more towards quiet families, this place has some great trails with water views to hike. It also has access to the same long sandy beach and picnic areas where you can stop by for a great hike or lunch on the beach. Hiking is a great way to explore and catch the beautiful scenery on the island and was my favorite part of this trip. We started by hitting the trails closer to town like a quick 1.2 mile hike on Casper trail that leads to a pretty bog overlook, would be an easy one to do with dogs. I think the best trails are at Big Bay State Park, just 6.5 miles out of La Point. They are all very moderate trails - short and easy even in sweaty weather! Plus, the pay off is big with great water views along the trail, sandy beach access and even the option to cliff dive into some icy cold waters! Definitely take a day to hike around the island and soak in the serenity. We did the Bay View Trail and Pointe Trail (you can cliff dive off "The Point" into Lake Superior on this trail - eek!). The Pub: (The Inn on Madeline Island): Great dinner and cozy bar with dining room views of the water. Extra convenient for those staying at the Inn! Go see Norah at the Pub bar, she's fun to chat with and will have some good recommendations on what to do around the island - always good to get the insider scoop. The Boat Club: Good spot for a casual dinner with great patio/water views. The local fish is good here (fish tacos). Grampa Tony's: Snag some good pizza and cool cones for lunch at Grampa Tony's - they have a small rooftop patio with lake views too! Bud's Bar (Island Oasis): This place might not be on your usual "tourist" list, it's more of a word of mouth spot, so glad we heard about Bud's - it was a highlight. On your way back from the State Park, you will pass this place on the right hand side of the road - don't miss it because this place is literally a bar in a house. As you walk in you'll be greeted by the Owner, Bud Nelson and he may say something to the effect of "Hi, I'm Bud and this is my menu" - as he points to 3 beers on the shelf. Bud has great knowledge of Madeline Island. He's ran the Island Oasis since '91 and has his home videos of outdoor life on the island playing on small Panasonic TVs throughout the bar. He has photo albums galore to page through and is a fun guy to talk history with. Great place to stop for a cold beer and good conversation with Bud, a local expert and native. If you find my name in the book, you'll see that I did a loon call for the bar - Bud got quite a kick out of it and also caught it on video so maybe I will make the video cut for the next tape! If Bud likes you enough he might be willing to make you a customized souvenir right there! Oh and a little tip for you: if you can memorize the 22 Apostle Islands on the spot he'll give you a free beer (winner winner right here!). The Savory Waffle at scratch eatery Farmhouse is to die for! 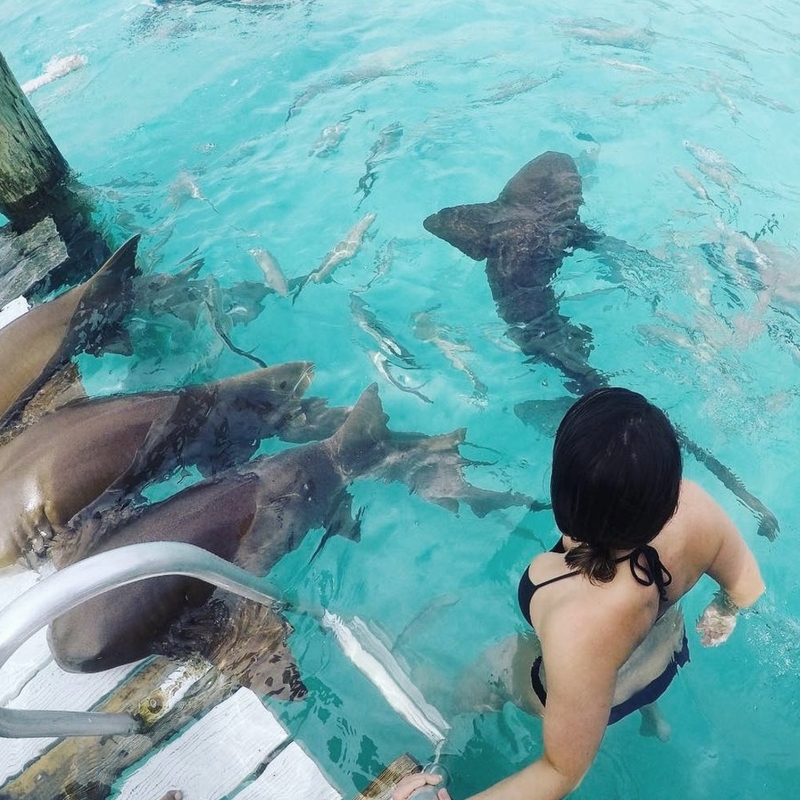 This small town is a perfect summer getaway with a great mix of relaxation and outdoor activity - enough to make you feel like you're on the other side of the country for us midwesterners. Hop the ferry, you just might like it!